The National Research Council of Italy (Cnr) wants to thank all the scientific and institutional partners that since 2013 supported this prestigious event and established its success in every city in which it was realized. 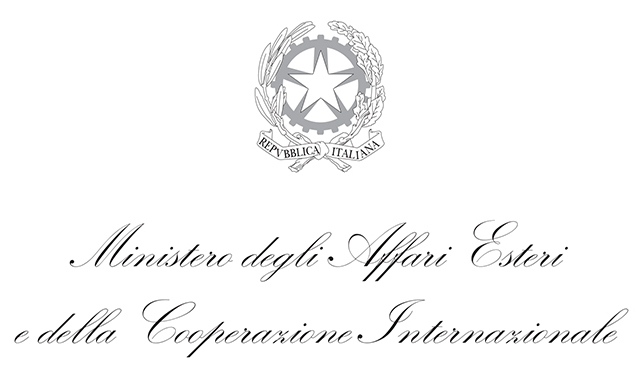 In particular a wholeheartedly thank is dedicated to the Ministry of Foreign Affairs and International Cooperation of Italy that from the very beginning has believed in this project. An innovative exhibition on some of the most significant examples of scientific excellence of our country, from robotics to particle physics, from health to technology applied to transport and to the protection of archaeological and cultural heritage. On the occasion of the year of Italy in Latin America, the Ministry of Foreign Affairs and International Cooperation promotes a tour in Argentina to present some important innovations pioneered by Italy at international level, witnessing the dynamism and innovative capability of the country, with a view to the future deeply rooted in a thousand-year culture. An exhibition that revises the legacy of centuries of genius, returning an image of Italy as a country in which the advancement of knowledge becomes an instrument to improve the quality of life of the entire society. The exhibition is organized by the National Research Council of Italy in collaboration with some of the most important Italian research organisations: the Italian Institute of Technology (IIT), the National Institute of Nuclear Physics (INFN) and the St. Anna School of Advanced Studies in Pisa (SSUP).